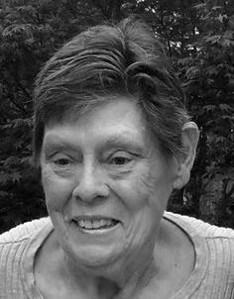 Dorothy “Dotti” E. Merhige, 85, of Berlin, formerly of Newington, died peacefully in the comfort of her home on Friday, Oct. 26, 2018. Born in Great Barrington, Mass., daughter of the late Hamilton Eaton, Sr. and Marion (Anson) Eaton, she lived in Lakeville, raised her family in Newington, where she resided for most of her life and recently moved to Berlin. Dotti retired from Traveler’s Insurance Co. after many years of service. She took much pride and comfort in caring for her home. She loved to shop and enjoyed spending time with her friends at Sage Pond and Stonebridge. She was a die-hard Boston Red Sox fan and loved watching golf and cheering for UConn basketball. Dottie was passionate about her immaculate 1998 Honda, which she kept in mint condition. A loving and devoted mother and grandmother she leaves two daughters and sons-in-law, Theresa and Brian Malloy of Kensington, and Cindy and Erik Jones of Plantsville; and her greatest pride and joy, her five grandchildren, Brian Malloy, Jr., and Ashley Malloy, Sarah Ayotte, Michelle Ayotte, and Samantha Jones. She also leaves her sister, Virginia Ferranti of Canaan; her brother, Hamilton “Sam” Eaton, Jr. of Scottsdale, Ariz.; and several nieces and nephews. Her funeral service will be held on Thursday evening, Nov. 1, 2018, at 7 p.m. at the Newington Memorial Funeral Home, 20 Bonair Ave., Newington. Relatives and friends are invited to call prior to the service on Thursday from 4 to 7 p.m. at Newington Memorial. She will be laid to rest privately. Memorial donations may be made to St. Jude’s Children’s Research Hospital, 501 St. Jude Place, Memphis, TN 38105. To share a memory with her family, please visit us at www.newingtonmemorial.com . Posted in New Britain Herald, on Monday, 29 October 2018 20:06. Updated: Monday, 29 October 2018 20:09.